Starting your own business is an achievement in itself. One that you should be excited about but it’s only the starting point. The next thing you must do is find a way to make it stand out from the crowd. Ask yourself what is different about your business and what you can do to make it remarkable. A truly remarkable business must be your aim! In this post, we’ll explore some tips and ideas for making your business stand out from the crowd. We will also look at how to bring the X-factor (or WOW factor) to your business. This will give you an edge over your competition. Are you ready to get started? 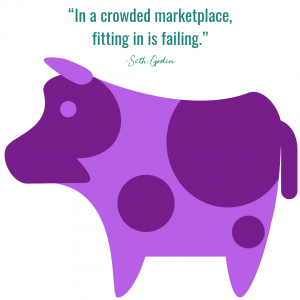 Seth Godin came up with the concept of the “Purple Cow.” He observed that after you have been looking at cows for a while they all basically look the same. They all become common, ordinary and needless to say, dull and boring. But a purple cow is something that would be very different and quite remarkable. A purple cow would attract attention; it would be the start of many conversations and it would be a draw for people everywhere. It wouldn’t be forgotten. That’s what you need to stand out from the crowd and rise above the rest- your own version of the purple cow. 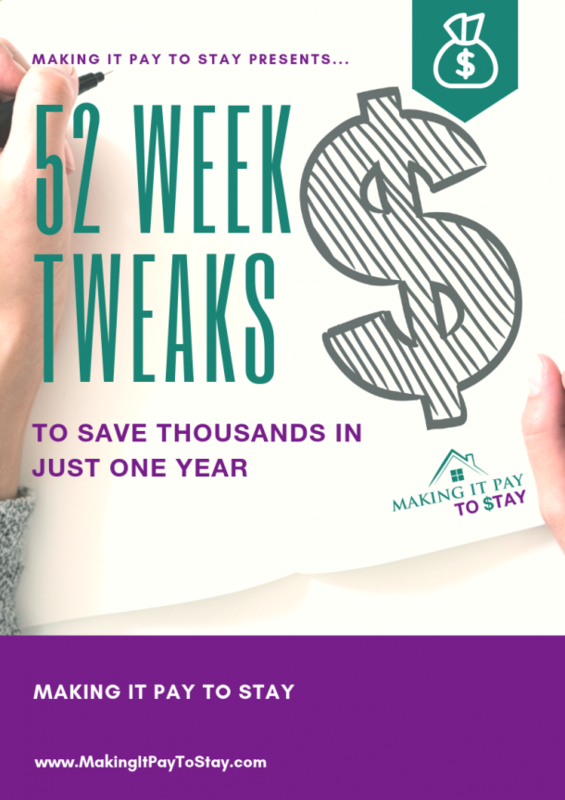 Many business owners don’t put the principle of the purple cow to work in their businesses because they don’t know how to come up with that really amazing idea that will blow everyone away. This takes work and a few people putting their heads together and coming up with some ideas. Another reason that you see so few purple cows in the marketplace is that people fear criticism, success, and being disliked by others. If you are remarkable then you will receive criticism and it WILL hurt. There will also be whispers behind your back and you won’t be liked by everybody. But really, who is anyway? Those who stand out in any manner are always more open to ridicule and scrutiny. It is the price you pay to be truly remarkable. Being invisible may be safe, but it won’t lead to you reaching the top of the mountain. If you want to take a stab at true greatness and excellence then you must resist the urge to play by the rules and be safe. You must be brave, be bold and not be afraid to be unique. Remember the saying, “No guts, no glory”? It is right on the money! To stand out from the crowd, and be a little bit taller than your competitors, you need to figure out what makes you different. From there, you focus on that and find ways to celebrate it. Your differences will then be the foundation for your unique selling point (USP). To figure out this you must have a vision for your company. To brand your business, it’s essential that you are as clear as possible about what your vision is. Ask yourself what is different about your products or services? Once you know what that is you can then find ways to package your products in a different manner that makes other people say WOW! That’s just the beginning of your business X-factor. Your business plan must include a way to be remarkable. Every business has the ability to do this. Don’t be lazy or make excuses- put work and plenty of forethought into this. After all, practically anyone can open a business or offer a service but you must go one step further. You need to go the extra mile and put in the extra effort. Don’t put in 100 percent effort but 200 percent. Find your niche and then take the initiative to be you but a you that is different from everyone else. You can sell the same products as 50 other businesses in your area but you will have the hook that draws customers in. You are the business owner but are you recognizable to the patrons you serve? Do people know who you are? 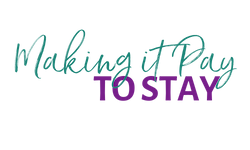 Are you hands-on in your business or are you rarely on the premises? Do you offer a unique personal touch that cannot be found elsewhere? Personal connection is important. Side note: Believe me, I get the feeling of not wanting to be “in the spotlight”, in fact, I can’t stand it. However, I’m working on that and know that this is an issue I need to tackle if I genuinely want to reach and HELP others. Moving on…people like to feel that their business matters and that they matter when land on your website. Potential customers can go anywhere for tips and freebies on starting a business. However, if your website, landing pages, and online profiles cater to your customers and provide them with tons of value…if you’ve got that extra special touch that makes them want to come back again and again, you’re doing well. Many customers also like comfortable predictability. They like to know what to expect and they like consistency. You need to put yourself in your own business and to show your customers that they make a difference. Don’t hide away because that won’t endear anyone to you and won’t make your business remarkable in any way. You are the heart of the business, so give it the beating heart it deserves. The WOW X-factor is the quality that makes something surprising, impressive or amazing. 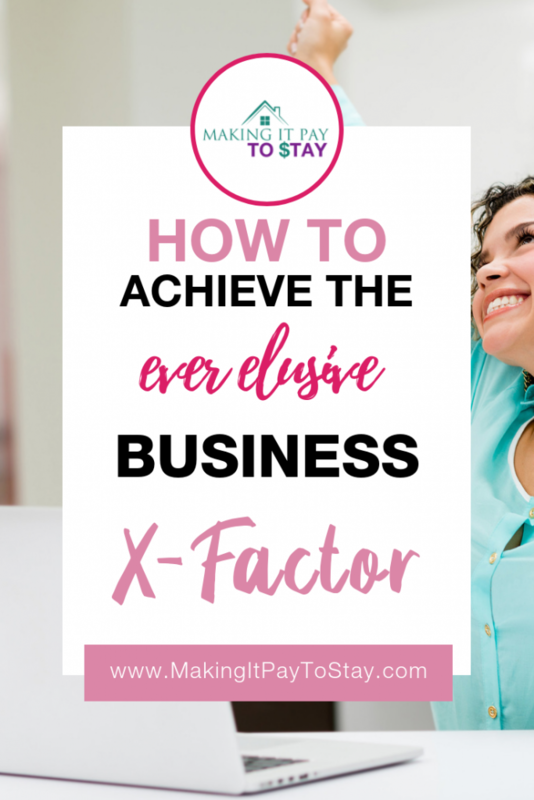 To have the X-factor in your business, you don’t have to break the bank or do something totally outrageous. Your aim is to provide your customers with a fantastic experience that will make them exclaim, “WOW!” This will them bring them back time and time again and it will encourage them to tell others about their utterly amazing X-factor experience about your business. Kudos for you! The X-factor doesn’t have to be huge nor does it have to involve constant or extreme change. It could be as simple as offering your customers a discount code or free download while they browse through your website. It could be returning emails faster than other businesses do. It could be free offers, contests or raffles. It could be sending emails to mothers on Mother’s Day or including ornaments in shipments at Christmas time. To get the attention of your demographic you need to find a way to wow people. Use your imagination. Ask yourself what wows you. Maybe you can choose a way to wow people that has nothing to do with the products or services you sell. Perhaps the element of total surprise is what will work for you. Be original. Be creative. Think WOW and then make it a reality in your X-factor business. You don’t get points in the current marketplace for repeating a tired old idea or for being a copycat. You must develop your own unique personal style in every aspect of your business. This includes everything from the ground up. Your personal style can be your purple cow. You are unique because there is only one you in this world so take that with you and take it wherever you need it to go. Your personal style should shine through loud and clear in every way. From the design on your business cards to your letterhead to the way you dress to how you conduct business to how your business brand is presented. Don’t look at a competitor that’s doing well and try to replicate it. Your potential customers will see right through that and will never end up becoming regular customers. You already have your own personal style in your personal life so take that and transfer it into your professional life. Be yourself and let that become evident to others. Communicate your own unique special style to everyone you deal with in your business and the (good) word will start to spread around. Wow people by not being afraid to be who you are. By being honest upfront with your customers they can then decide for themselves if your business is where they want to spend their money or not. Imagery is a powerful tool that can help you to keep a steady stream of customers happy to keep coming back. It’s also a way to stand out from the crowd. Take imagery and use it in a creative and unique way. Bring it to every aspect of your business, be it online, offline or a bit of both. Use it the creation of your business cards, your flyers, and your marketing materials. Make your advertising items as fun and as appealing to the eye as possible. This will get people talking which is what you want. To be remarkable, people need to know that you’re out there and that you are doing things a little different than other businesses of your kind. These things all send the message that you care about your business and therefore your customers. Think of the businesses that you have enjoyed and appreciated over the years. Did they use color and design and imagery in a way that pleased you? These are the elements that stay with you. Your business can work the same. Usually, going the extra mile for your customers makes you special. Standing out from the crowd means offering the rare treats that customers do not get anywhere else. Fads come and go but you need to strive for something that is different but offers the traditional touch. Not all businesses offer free trials to their customers. Be the first one that does that. All of your customers will not want to buy a course, so offer them PDF’s, blog posts, videos, and support in other ways. There are so many things you can do to show your customers that you value their business. Start with excellent customer service, quality products, guarantees for your products and value for the dollar. These are not fads by any means. They are traditions that you should adhere to in every way. These important elements will always be in style. In order to make your business remarkable, you need to ask yourself the right questions. You need to ask new questions and come up with newer answers. You need to try new ways of doing things. You’re probably tired of hearing that you need to think outside of the box. Why not redesign the box so you don’t have to think outside of it at all? If you could choose your own customers – who would you choose? Identify this group and then figure out how to market to them and influence their thinking. Develop your business ideas to cater to this group. Forget the rest. Focus on this group. You also need to think of clever and innovative ways to reward this group for choosing you in return. Ask your customers for their email addresses and then think of what you could send them through email that would make them feel as special as possible. Everyone loves an offer to receive 10 or 15 percent off a purchase. Everyone also likes to feel that they are in an elite group known as your most loyal and valuable customers. The Pareto Principle (the 80:20 Rule) teaches us that it is much easier to hold onto a long-term customer than to find a new one. According to this principle, 80 percent of your business will come from 20 percent of your loyal customers. You need a combination of both. Find ways to keep surprising your customers and putting smiles on their faces! Being remarkable and standing out does not necessarily mean being the biggest or the fastest or the anything. It is about testing the limits and figuring out how much they can be pushed. It may be as simple as changing the banner and images on your website more often, letting your team members post about your business culture on social media, launching a new brand or slashing prices. It might be doing things on a smaller scale. It may mean giving your customers more choices or being more receptive to their input. It might mean sending out a weekly or monthly newsletter or creating advertisements with a larger print that are simpler to read and understand. Do your research before you burst onto the scene and seek to declare how remarkable you are. Examine the industry you are in and find out what is not taking place. What is presently absent in the industry? What does it need? Whatever is not being done is exactly what you should be doing. 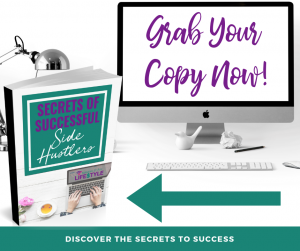 This will give you the edge you need to be a winner in your field. Success can only come if you do not sit on the sidelines and are not afraid to break some rules and ruffle some feathers. Your business is worth it after all. Reinvent yourself and your business as you see fit. When you need to infuse new life into your business- any aspect of it- hire professionals who can help you do that. Your business is only as good as the people in your employ so find the best and let them help you to make your business a purple cow that stands out among the brown cows. 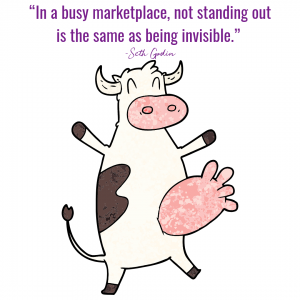 To make your business stand out from the crowd and to be a crowd pleaser at the same time, you need to find the purple cow that makes your business remarkable. Once you know what that is you then must find ways to make your company different than other ones of its kind. You also must make yourself visible and recognizable to your customers. From there you must infuse the WOW X-factor into your business. Find out what works and make it a part of your company. Cultivate a personal style and let it loose. Use imagery to make your customers feel good in your surroundings and use a traditionalist touch in your approach as an entrepreneur as opposed to following trends.